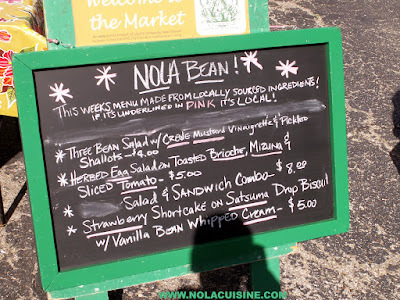 On our most recent trip to New Orleans in February, I stopped by the uptown Crescent City Farmer’s Market on a Tuesday morning. It felt wonderful to casually stroll the market with just a light jacket, basking in the sunlight, knowing that back in Michigan folks were still weathering the worst winter I can remember to date. 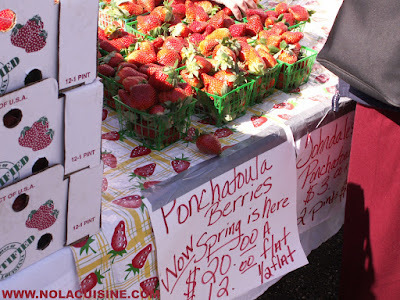 I love Farmer’s Markets and this winter has made me long for mornings like the one that I had in New Orleans. Alas, here in Michigan spring has finally sprung, and I can finally go check out some of our own local goodies without 4 layers of clothing and snow shoes. 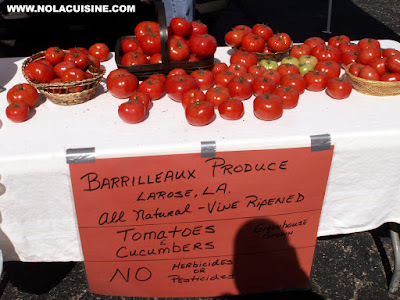 Here are some pics from my visit to the Crescent City Farmers Market in New Orleans. 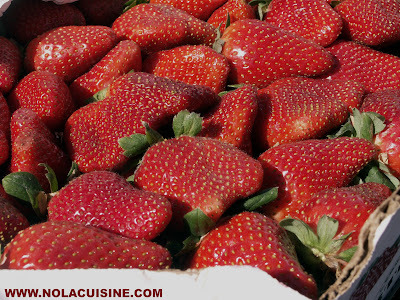 Ponchatoula Strawberries, blood red straight to the center, and sweet as can be, probably the best strawberries I can remember. Nola Bean! 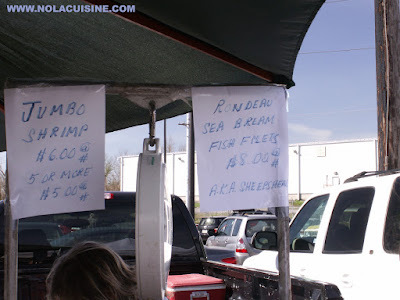 was there with a menu of dishes created from some of the local ingredients. 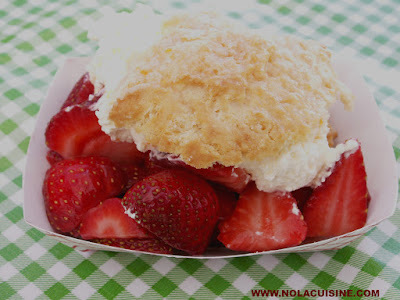 After getting a look at those delicious strawberries, I couldn’t pass up a chance at the Ponchatoula Strawberry Shortcake on a Satsuma drop biscuit with Vanilla Bean whipped cream. Wow, I can still taste it. It tasted even better than it sounds, pure heaven. Local smoked meats, sausages, tasso. 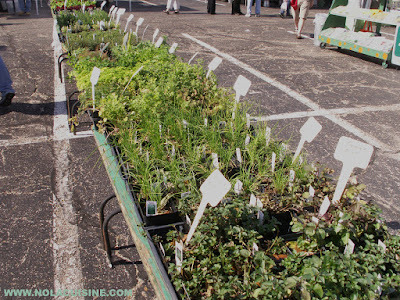 Fresh flowers, herbs, plants, and trees. 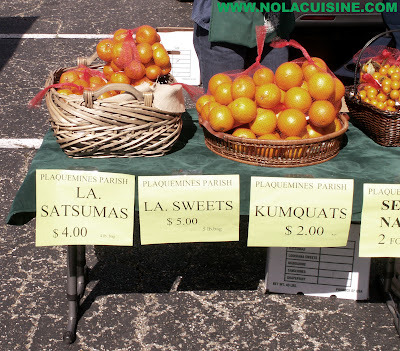 Louisiana citrus, Satsumas, kumquats, navel oranges. Wow! I can almost smell those tomatoes!!! Beautiful photos! I discovered this place on a random Saturday morning several years ago and make a point to go whenever down there. I usually buy a cauliflower, which are the largest I’ve ever seen, and my daughters like the homemade popsicles. Wow! 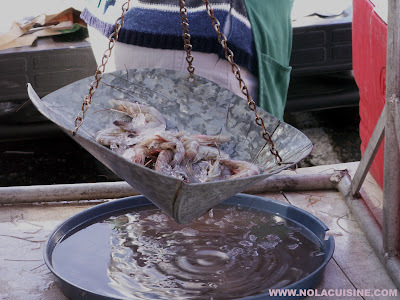 Thanks for this and for your blog which I found today…I’m born and raised in New Orleans, traveling around with my military husband, and SO homesick! Can you offer an opinion on Schexnayder’s meats? 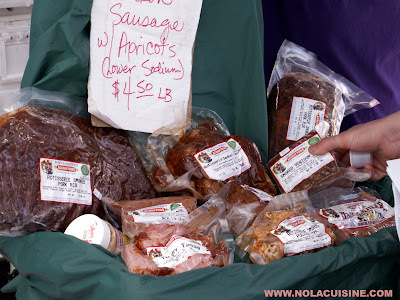 I’m always looking for great andouille and such and wondered if you tried any of their products. 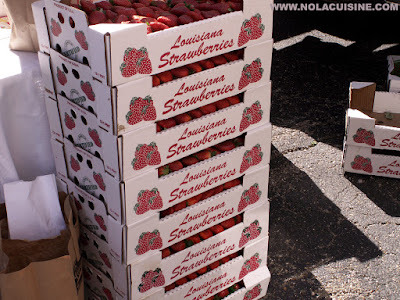 We love the farmer’s market here in Baton Rouge, so we made a point of stopping by the one in NOLA this past weekend. Lovely! I just wish I could have bought more than breakfast, but I didn’t have anywhere to store produce until we got home Monday. I had the Schexnayder’s beef jerky and a chicken last time and they were both phenomenal! I also got a great pie from the pie lady last time and a cochon sandwich. 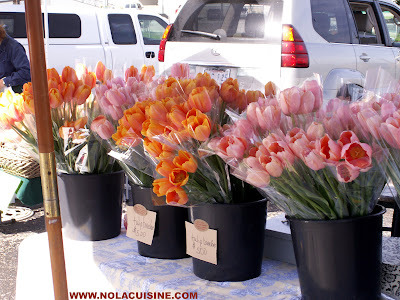 I highly recommend the Crescent City Farmer’s Market. 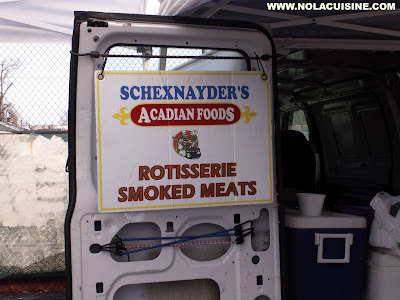 I’m not sure if the Schexnayder Andouille was related to the one I grew up on , but it was made in a old green cypress farm store on the river road in New Sarpy .. the old way …by hand, the real deal “das fo sho” and fresh Cajun sausage. You could also get such things as fresh ground cayenne , properly packaged in Dixie Beer bottles, and that special hot sauce , you know the one with no label on the bottle!! !